8Rental Company provides a coach rental with driver. A professional driver with many years of experience will take you to any corner of the city. 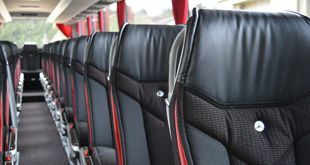 All coaches are equipped to the highest standard which allows you to enjoy your ride. Our fleet offers only top brand coaches. Comfort, Safety and Quality - this is what has made these vehicles the best in their classes. Choose an appropriate vehicle class for you. Brussels is rich with museums and is one of the most impressive cities not only in Europe but the whole world as well. All of them fascinate with rich contents and exhibitions. And if you are welcoming a large group of foreign visitors to Brussels, it's wise to start the tour with mainly them. 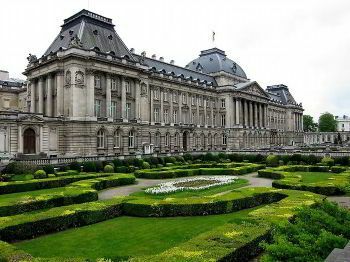 Perhaps the most outstanding museums here are Musee de la Ville de Bruxelles, BELvue Museum, Museum of Costume and Lace, Royal Palace, MIM, Musee du Cinquantenaire. Surely you can take your guests to other establishments, but these are must see. It's undoubtedly worth to organize a tour for foreigners here, in Brussels. And in case you intend to apply to 8Rental for booking a coach for your tourists, you are making the right step. It is a service you can lean on whenever you need reliable transportation in a European city. Get a quote from 8Rental and hire a premium bus to drive in safety and convenience. To place an order and hire a bus with a driver in Brussels, it will take you only around five minutes. Just get a quote and fill it out. You will be required not only some personal information such as your name and surname, as well as your contact data but also a couple of details about the order. Mention the start date and time, the pickup and drop off addresses and the number of passengers that will be driving. The choice of the driver is also left to you. You can select the language your chauffeur is to master. And once the quote is complete and sent to us, we shall pass on implementing it. Be sure; we shall monitor every step so that to guarantee complete safety of your and your guests' transportation. This coach rental service suggests hiring the best buses on the most favorable conditions you can ever find in the market. We offer professional drivers, amazing vehicles all in excellent condition, a customer-friendly staff of CS operators, and a series of other amenities you are sure to take for granted! Hence, there is no need to hesitate or try to find any other car supplier in Brussels, as you are already at the best destination right now! Depending on the number of tourists you will welcome, you can choose a Mercedes Sprinter or Mercedes Tourismo to rent a chauffeur driven coach in Brussels. The first model is designed to only up to two dozens of tourists, while the second model, the Mercedes Tourismo is a much more large bus and can accommodate around sixty-five passengers. This bus is equipped with such specs as central heating and air conditioning, toilet and fridge, minibar and coffee machine, DVD player and premium audio system, etc. 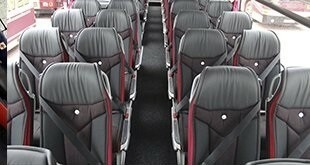 And what is essential, the seats are made in aircraft style to provide passengers with maximum comfort during the routes. Hire a chauffeured bus in Brussels for your foreign guests so that they enjoy every minute of the journey! Every driver who is employed by 8Rental is a real professional with years of experience in the field. They all have licenses to drive buses and are as competent as possible. 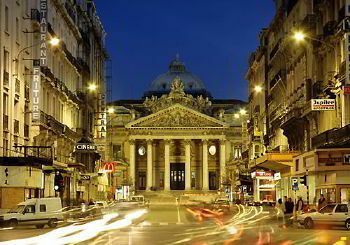 Our chauffeurs know all the roads in Brussels very well and can easily find the right direction when needed. Be confident, knowing there is a trustworthy driver behind the wheel of the bus you book, is essential. We can provide you with this confidence! No matter whether you rent a coach with a driver in Brussels for a week or several hours, to drive to one destination or travel all around the city, the fuel will be provided free of charge! Just like insurance. 8Rental is ready to get the responsibility for all fees and taxes. And if you are concerned about the transportation of your guests to their hotel, we shall offer to meet you right at the airport or railway station. What else would you like to get? Just contact our CS operators and inquire about whatever you are concerned. We are available 24/7!